The dragon is painted on the *inside* of the bead (the artist used a teensy brush), and the design goes all the way around. The suede cord is very soft and comfortable. 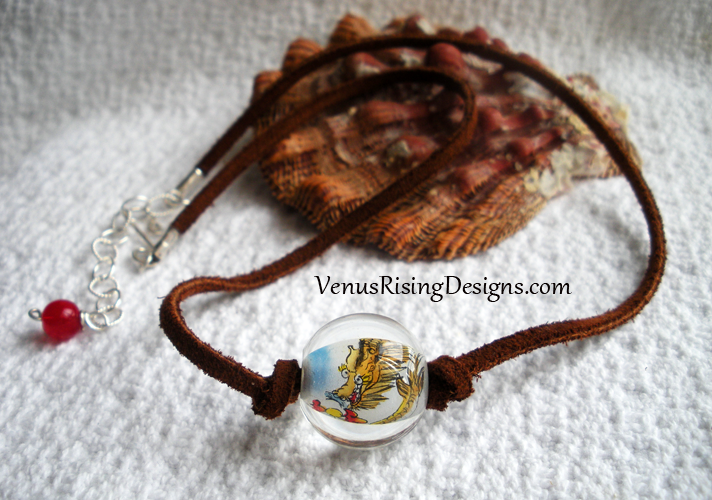 The necklace is adjustable (about 18" to 20-1/2") with a sterling chain and a red vintage glass bead on the end. I hand-hammered the sterling hook clasp. Sterling silver findings.